Taking the stage once again, will Apple excite our taste buds? The next big thing after World Wide Developers' Conference (WWDC) 2012 has to be this Apple event in San Francisco. The next generation iPhone is out and there is great news to all who just want a portable media player too. Yes, the iPod Nano and iPod Touch are finally getting an upgrade after a long wait. Exciting enough? Read on fellow believers and haters alike. The iPhone 5...something is not right here. What happened to the normal reaction where fans start screaming with joy and give standing ovations? This is the fact boys and girls, straight and simple. It's so obvious that even Apple fans know it too despite their attempts to avoid reality by not admitting to admit it. For those who still prefer to stay in the dark, I'll just drop the bomb: the iPhone 5 is boring with ZERO ‘wow' factors! It doesn't even take a genius to know that this reincarnation of iPhone is just a tiny step away from the iPhone 4S. Let's take a look at it shall we? Apple has finally upgraded its display to a 4-inch screen. This feat is achievable via an entirely different method as Apple used the same width as the iPhone 4S but raised the height a little. Opting for 1136 x 640 resolutions, the iPhone 5 now uses a 16:9 ratio resolution format. While it may seem ‘taller', Apple still managed to shed a few grams off the device by using its in cell technology. Not to worry for those who want iOS 6 because it comes bundled with the iPhone 5 and will include Passbook, a new Maps app, Siri enhancements and more. And just so no one is left out, the new iPad and older iPhone models will get it too. When the entire announcement event ended, no one really knew what to celebrate about as there is really nothing to be excited about. Sure, the new iPhone has some new hardware upgrades but all the rumours about iPhone 5, is more or less, true. We already know what to expect and Apple did not give us any surprises at all. Here's something that is, perhaps, more exciting than the dull keynote - the announcement of a brand- new iPod Touch. 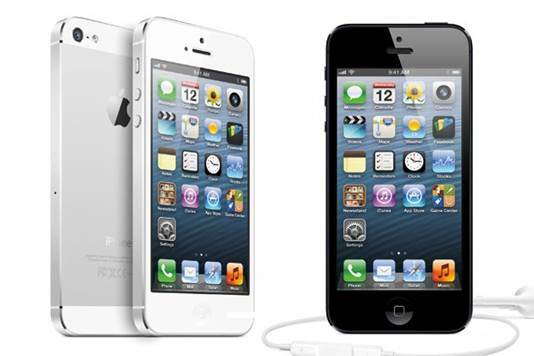 Supposedly the footnote companion of the iPhone 5, the new iPod Touch comes with a 4-inch Retina display with a resolution of 1136 x 640 and a dual-core A5 chip. That's the only similarities it has with the iPhone 5. A little note to take as the iPod Touch is the lightest iPod that Apple has ever produced; at a weight of 88 grams. So what's new with the 4-inch iPod Touch? For one, it has a 720p camera up front and a 5MP camera on the back. If that's not enough to make you go ga-ga, Apple decided to make the media player available in five colours: black, white, red, blue, and yellow. According to Apple, the colours aren't painted on, but are "bonded right to the aluminum." There is even an included accessory called Loop, which is designed to hook the iPod Touch to the wrist preventing it from falling down in case it slips. 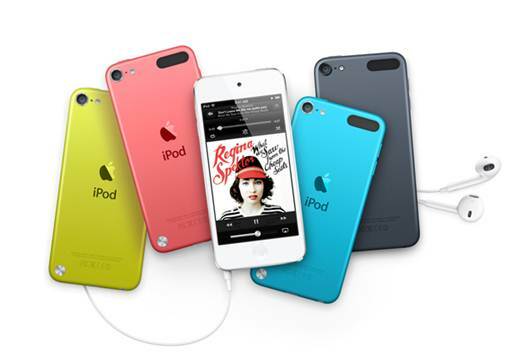 the new iPod Touch comes with a 4-inch Retina display with a resolution of 1136 x 640 and a dual-core A5 chip. In bringing old school back, Apple introduced the latest iPod Nano with an elongated body and a 2.5-inch (240 x 432 pixels) touchscreen that reminds us of its predecessors. However, the design looks suspiciously familiar... Maybe Apple decides to take some design cues from Nokia's Lumia series? You be the judge. Giving up on the wristwatch-esque design, this new Nano can finally play videos aside from playing music and opening pictures. But on such a small display, you better make sure that your eyes don't roll backwards. Calling its smaller dock connector Lightning, Apple says that it has an all-digital, 8-signal design, and "is even more durable than the previous 30-pin connector." This smaller connector will be implemented in the new iPhone 5 and the new iPods too. There is no news it being made for future iPad models but don't hold your breath as Apple prefers to keep to its ever faithful design philosophy: one for all and all for one. 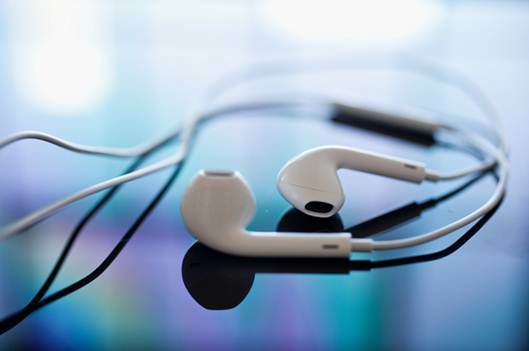 And, of course, one more thing: say hello to the EarPods. Yes, this is Apple's new earphones, purposely designed for its multimedia products. According to Apple, "the vents on the side of each EarPod allow air inside the stem, which acts as an acoustic chamber, to flow out so you hear deeper, richer bass tones." (This is a direct quote so don't ask me to translate!) The design is really awkward but it is already out so just savour it...I guess? Before I end this, take note that Apple also revamped its iTunes app with support for iCloud, a mini player and new edge-to-edge design. So with most of the important pieces covered, it only leaves me with one thought. There is a huge battle ahead and Apple is just equipping its armed forces with handgun equivalents. What do its enemies have? Answer: tanks, jet planes, rocket launchers and a lot of ammunition. All the best Apple!